Neither the global warming nor various artificial materials that are much more affordable, warm and appealing in appearance have ousted fur from the fashion throne. Why fur always has its buyers and how is it worn in a fashionable way is revealed by prominent Zagreb furriers. “Zagreb has always been a fashion-conscious city, and Zagreb women have always liked dressing nicely and they still do”, says Gordan Dvoravić from the fashion fur shop of the same name, located in Dežmanova Street. He purchases fur from Western Europe and North and South America. He makes all kinds of fur clothe items, and mostly unique fur coats, jackets and headgears. Dvoravić says that this season, fur in unnatural colours like red, blue or yellow is very popular, and that women have their fur pieces dyed. “I am not against artificial colours of the fur because it is part of the fashion and there is no reason for us not to play a little”, the furrier explains and says that when he is asked about the ethical side of his job there is no much of a dilemma because animals are bred for fur on farms and their use for this purpose is immeasurably smaller than, for example, for food. The Tomić Fur Shop in Masarykova Street makes coats, jackets, hats, collars, fashion accessories, ushanka hats and similar items. In addition, they possess a safety vault where they provide coat keeping, a frequently required service. 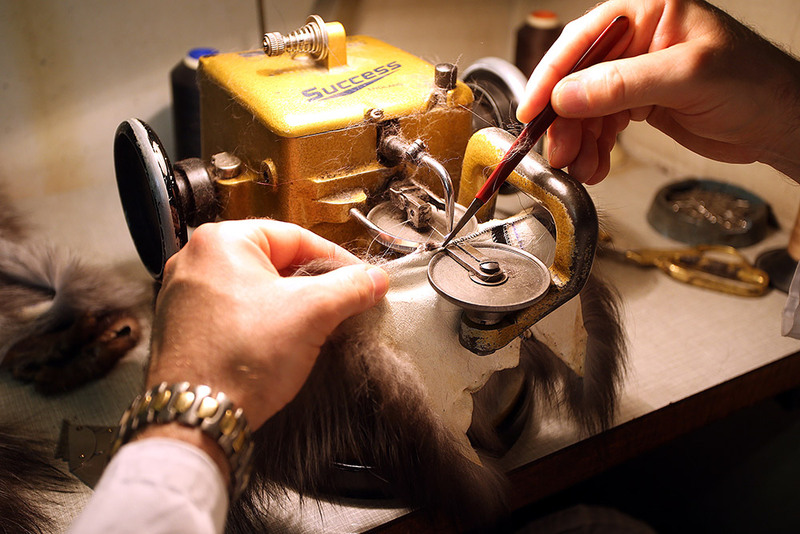 But the largest workload in the fur shop is customisation, as Zoran Tomić, who has continued the family tradition of the craft, points out. “Adaptation and remaking of old models brings to the workshop those customers who want to adapt this quality material to the new time or to customise it according to their new body measures. The fur is durable material and even after a number of years, depending on the model, it can be adapted to the customer’s needs,“ says Tomić. “Fur will always be in fashion and have its fans. It can be remade and with good maintenance you can have it for long years. This shows its cost-effectiveness, although initially it is more expensive than most materials. Another important thing is that fur is an environmentally friendly and biodegradable material that does not require 500 years to degrade, as is the case with new materials made of plastic”, says Antonela Dvoravić Šarčević, the owner of the Tomislav Dvoravić Fashion Fur Craft in Ilica 49. Dvoravić explains that mink is still the most popular fur although there are cheaper furs, but mink may be remade with high quality. “Jackets with the three quarter length are very popular, but hoods, hood straps, cuffs and collars are also highly demanded. Fur can be more or less trendy but when fur is involved, it is better to stick to the classical models with elements of the modern”, explains Antonela Dvoravić. She says that she has regular customers, and that new ones are coming as well. 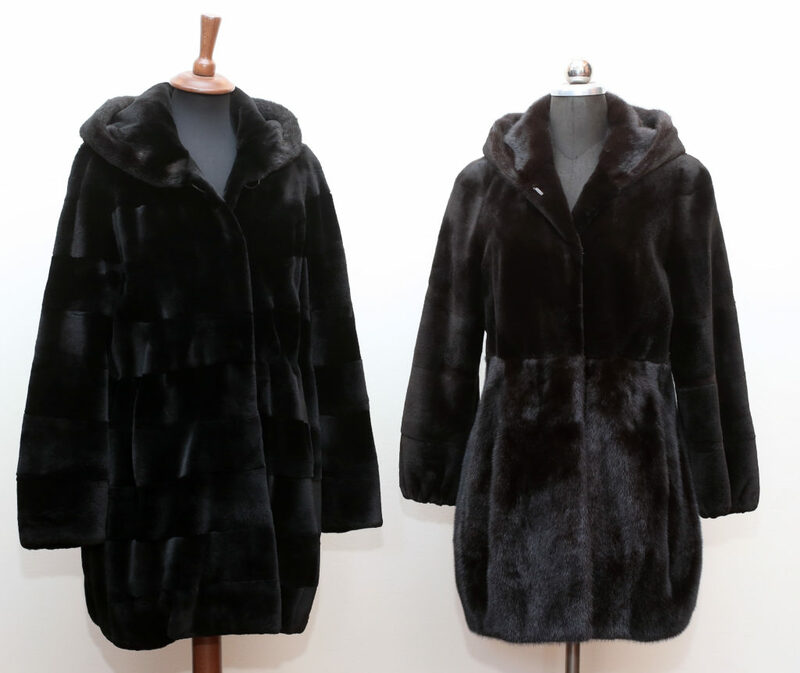 She points out that her offer is not only oriented to the winter season because she offers trimmed fur that is worn in the interim seasons since it does not look voluminous, and many buy fur during the summer when prices are more favourable.